The Construction Leadership Council (CLC) announced in 2015 that all card schemes must operate with nationally recognised qualifications in place for all occupations relevant to their sector. Since the announcement, CSCS has developed a number of plans to meet the CLC’s requirements, including agreement on appropriate qualifications for various occupations – with the minimum standard for skilled occupations established by the CLC at NVQ Level 2. The Construction Related Occupation (CRO) card, which had, until now, been issued without the requirement for the applicant to hold a nationally recognised qualification and being the card most locksmiths had required to obtain, will no longer be issued from the end of March 2017. 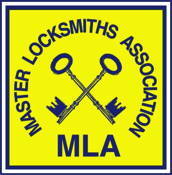 Meanwhile, as there is currently no nationally recognised qualification for locksmithing it would have been impossible for locksmiths and safe engineers to gain this CSCS card, but as the MLA has been successful in demonstrating that the roles aren’t construction-related, they will no longer be subject to requiring a card. This not only saves them a considerable amount of admin and cost, but more importantly, removes the uncertainty surrounding the issue.